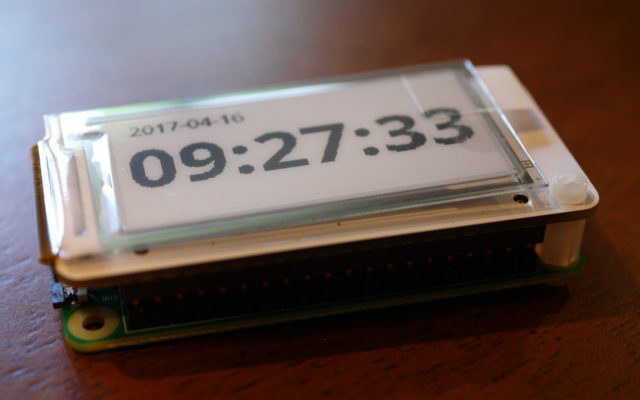 After finding the PaPiRus ePaper panel, I picked up a Raspberry Pi Zero W to drive it. To be perfectly honest, the early Raspberry Pis never really excited me. However, the Raspberry Pi Zero’s small footprint caught my attention. Add in WiFi and Bluetooth, as found on the Zero W, and you have a solid IoT starter board. Thanks to the popularity of the Raspberry Pi, both Funtoo and Gentoo have guides on setting up Funtoo/Gentoo on a Raspberry Pi. Getting a base system up and running is straightforward. Though, if you have to compile anything it will take a while.